By now you’ve seen those clips of movies that seem to crop up everywhere – in blog posts, message forums, and even on your Facebook feed! But you’ve always thought you need to be some sort of tech guru to make these, right? Wrong! Not if you have a copy of today’s discount software promotion, VideoGIF! 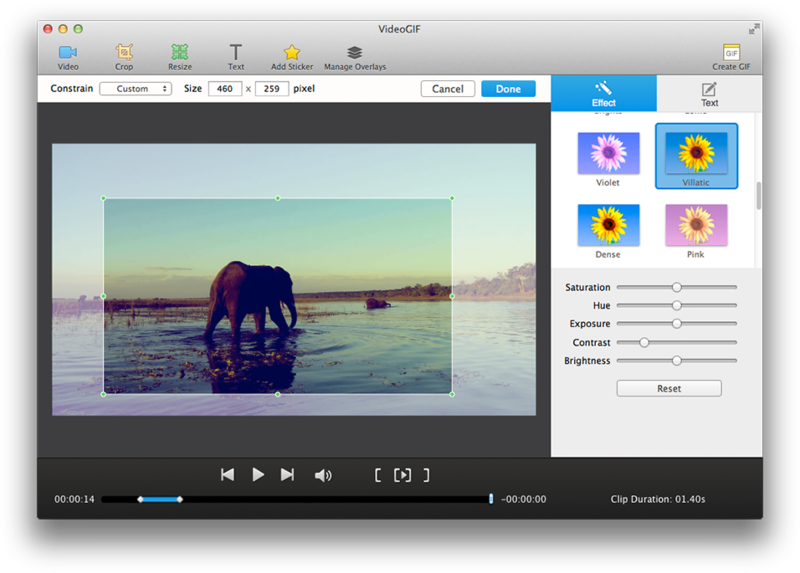 VideoGIF lets you transform videos and movie clips into animated GIF files in just a few steps. 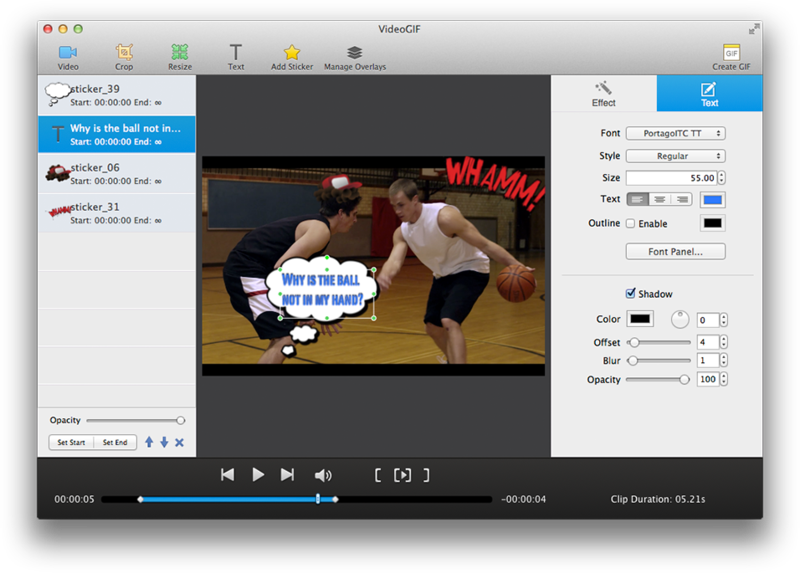 With VideoGIF, you never have to hunt down a good clip on the Internet – just launch this program and make your own. 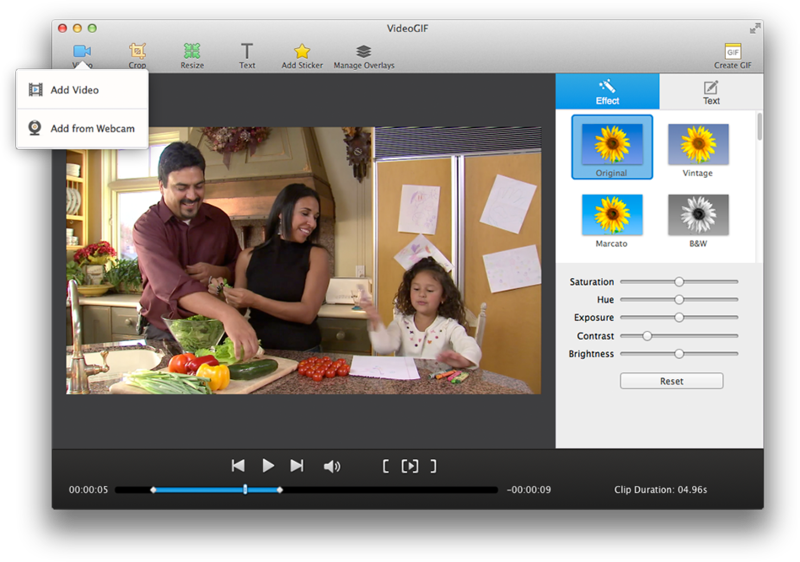 Thanks to intuitive controls and a set of tools, you’ll be trimming and converting your videos in no time! What kinds of tools can you use with VideoGIF? 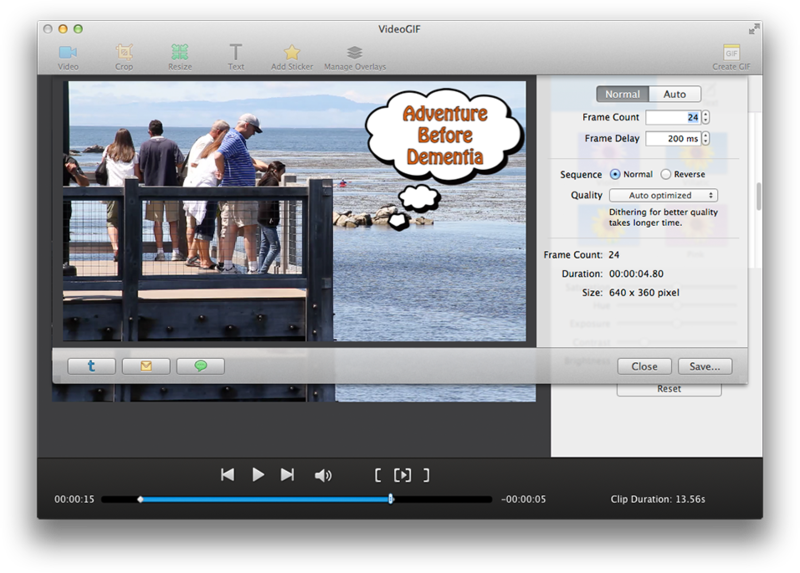 For starters, use the Trim function to extract the clip you need from your video source. Then use crop and resize to make it look exactly how you want it. You can even use VideoGIF to insert customized texts and stickers! Need filters like Vintage, Sepia, and Black and White? Of course they’re all here in VideoGIF! When you’re done with your animated GIF masterpiece, save it and share it across the online universe, in email messages, on your Tumblr, and even in iMessage! After you purchase VideoGIF it may be used indefinitely. VideoGIF is licensed per user, so if more people are going to use VideoGIF you will need to purchase additional copies.